We drink a lot of coffee. Like a lot, a lot. So it should come as no surprise that we've spent a fair amount of time in coffee shops. In fact, when we drove across the country, some of our stops didn't allow us time to do much more than stop by a coffee shop. While it would have been nice to explore more, we also weren't upset by merely only stopping for a cup of coffee. In fact, we adore going to coffee shops, sometimes even more than breakfast or dinner dates. 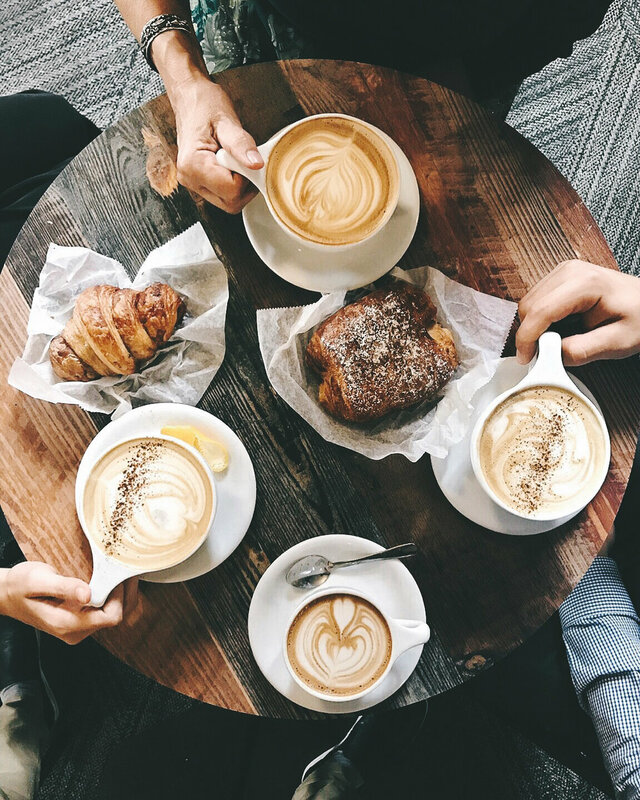 We love to snag a coffee before heading on a road trip or to the beach, we'll go to a shop for an afternoon break or an early morning pre-work date, and we love to people watch and explore the culture through the coffee shop window. Coffee is quick, cheap, easy, non-committal and yet still some of our best memories come from times spent over a simple steaming mug of brew. 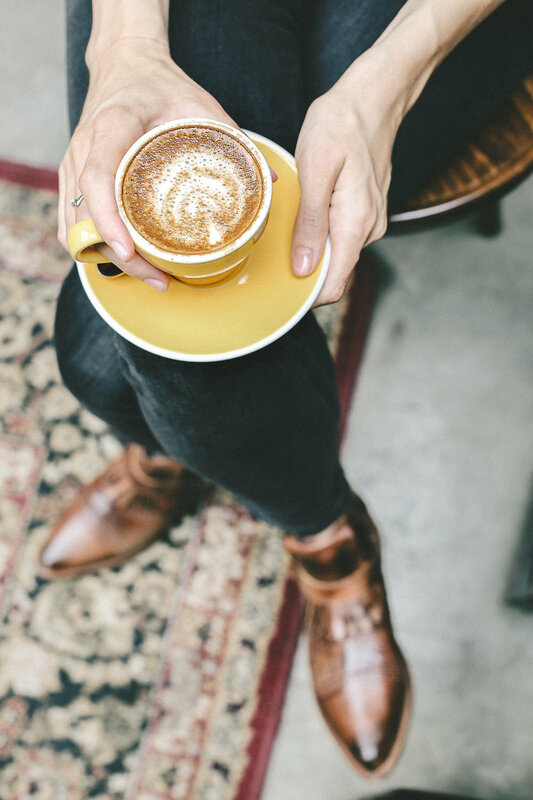 For easy reference, and because I know many of you feel the same way about coffee as we do, I thought it would be fun to compile a guide to coffee shops across the country, or I should say, the coffee shops that we've tried across the country. New York and LA truly need their own list as there are so many, but for the purpose of this post, I've only listed the ones we go back to time and time again. Additionally, every time we travel, or try a new spot (and it's good), I'll update this list. So, if you're a coffee lover, make sure you bookmark this post and check back often. Where are some of your favorite coffee shops? You know I always need more to try!